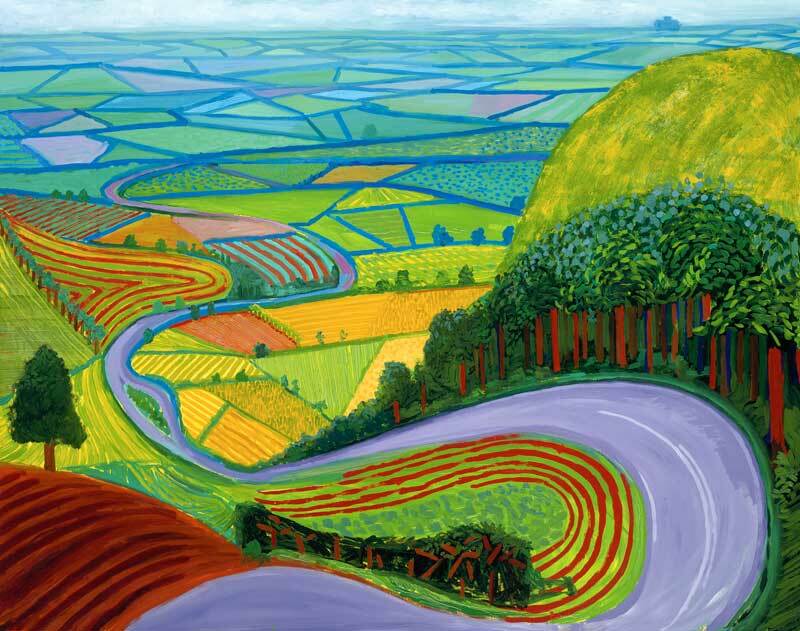 From the first experiments with aerial perspective, to the Impressionists’ revision of painted light, to records of the creeping modernisation of the 20th-century countryside, landscape has long been a popular and experimental genre in art. The MFA Boston’s permanent collection includes a wide variety of historic landscape paintings and drawings, but its latest exhibition looks to the contemporary scene. Where can today’s landscape artists – faced with a modern world that often seems aggressively globalised, littered with cities and enveloped by the digital cloud – venture next? 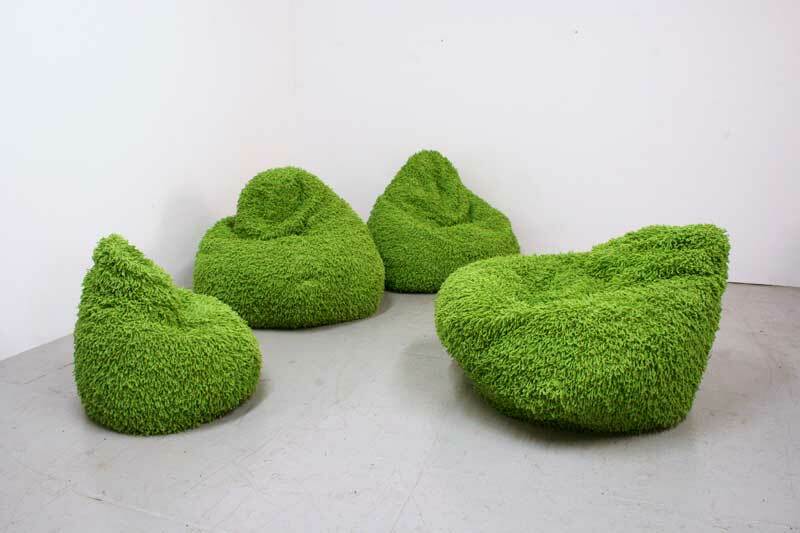 The 10 contemporary art works in ‘Landscape, abstracted’ celebrate the beauty, power and intricacy of the natural world, but approach it sidelong through a series of combinations, contrasts and fragmentations. 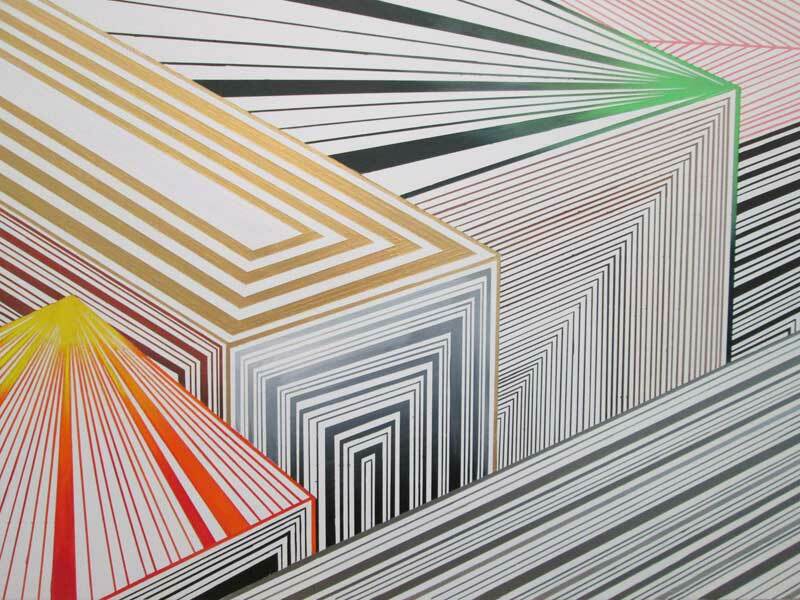 One new commission, a huge wall painting by Jason Middlebrook, seems to feed landscape through a prism, or perhaps some early computer program, fragmenting it into patterned lines that could be bar codes or wood grain. 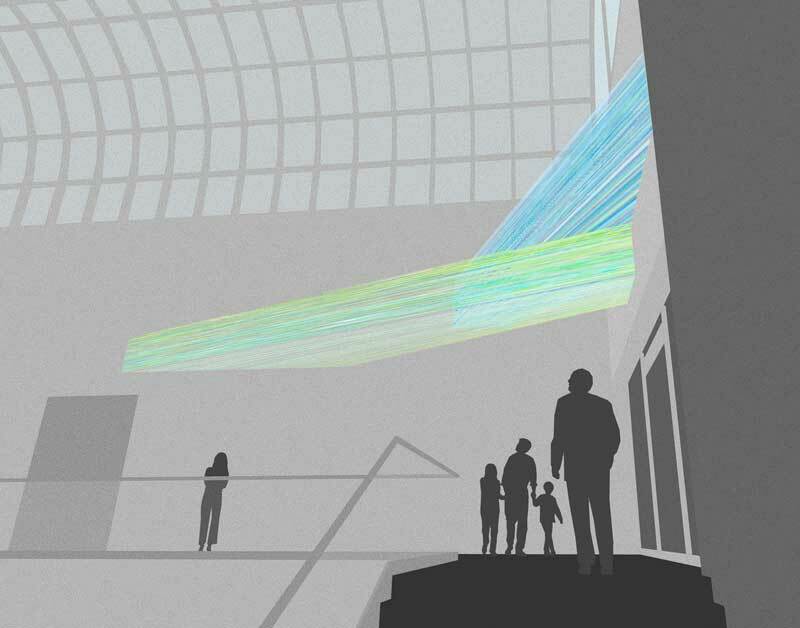 Another, by Anne Lindberg, extends coloured threads across the gallery space, suspending a landscape in the air. 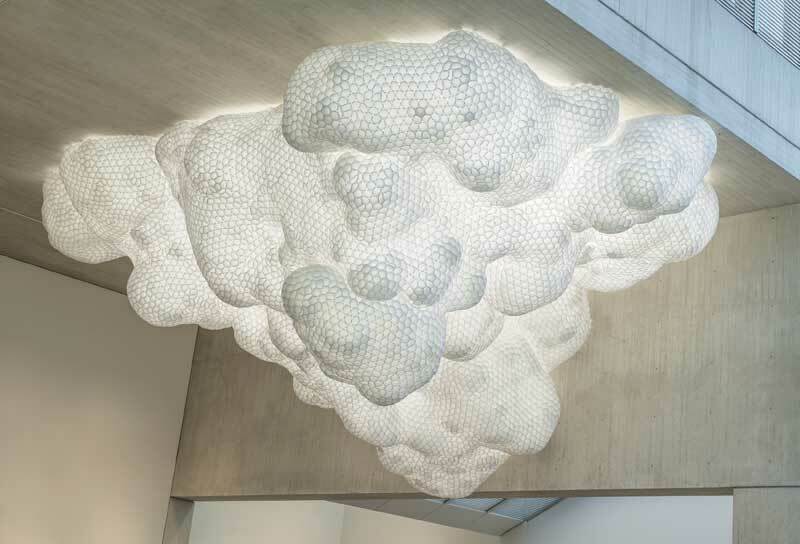 Tara Donovan creates an cumulus cloud out of Styrofoam cups; Teresita Fernández cuts soft, moss-like patterns into sharp metal; Barbara Gallucci conflates garden furniture with the nearby hedge, each moulding the landscape to their own experiences. 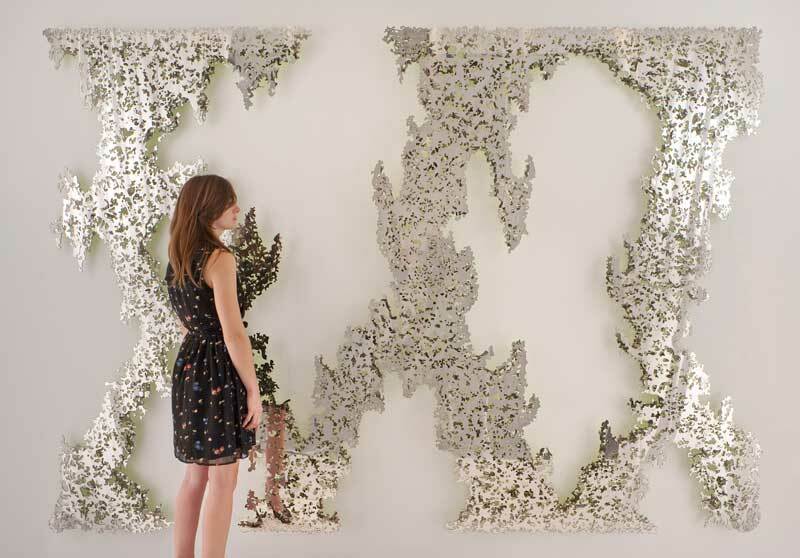 ‘Landscape, abstracted’ is at the MFA Boston from 16 August 2014–30 July 2017. Can the objects of political activism hold their own in a museum?